SQL itself is vulnerable. SQL is designed to allow people access to information and is therefore inherently vulnerable, so every developer must know how to prevent SQL injection – not just one or two individuals on your development team. The price of agnosticism. SQL is agnostic, meaning it works across database platforms. The upside to this is that it allows code to be database-server agnostic. But it is also the source of the problem. 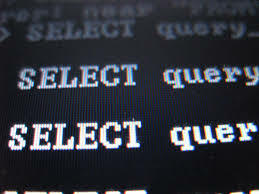 To prevent most vulnerabilities, developers should use parameterized SQL or stored procedures specific to the database server. One mistake is all it takes. If just one vulnerability is left unsecured, a hacker can have his way. Every single input must be protected. Unfortunately, this is a tall order for any development team, as there can be tens of thousands of potential vulnerabilities on a single website. Inexperienced developers lack training on old vulnerabilities. New generations of developers do not always receive the training and mentoring necessary to understand how to prevent common application vulnerabilities. They must be taught how to prevent exposing SQL injection vulnerabilities by creating comprehensive validation logic on every parameter or input. Seasoned developers lack training on new technologies. Many veteran developers are using new formats and technologies to develop new types of applications. They must understand that SQL injection should still be considered for every input. For example, the application inputs from a mobile interface written in JSON that access the backend database can be as vulnerable to SQL injection as any input on an end-user page. It’s not a priority. Many organizations do not consider fixing web application security vulnerabilities to be as important as they should. As a result, developers are generally more concerned with building new features and fixing bugs that impact user functionality. It requires team effort. In order to eradicate SQL injection vulnerabilities, development and web application security teams must collaborate. Developers need security specialists to keep them informed of new hacking techniques, and security teams need developers to eliminate vulnerabilities. Abandoned legacy applications. With the original application developers retired and the source code difficult to locate, vulnerabilities in legacy applications can be difficult or impossible to patch. As you can see, educating developers on how to prevent SQL injection vulnerabilities won’t completely solve the problem. Organizations must enable developers to build secure code and make web application security testing a priority. Security teams have their perspective as well.